India’s batting coach Sanjay Bangar has confirmed on Saturday (February 2) that Mahendra Singh Dhoni will play in the fifth one-dayer. Coach Bangar said that Dhoni is recovering from injury and he will be available in the fifth and final one-dayer in Wellington on Sunday (February 3). Due to the hamstring injury, Dhoni did not become part of India’s playing XI in the third and fourth ODIs. However, Mahendra Singh Dhoni was seen practicing in the nets before the fourth ODI, but he did not play in the match. Dinesh Karthik replaced Dhoni as a wicketkeeper-batsman in the third and fourth ODIs. Now coach Bangar has made it clear that Dhoni will be available for the fifth ODI. 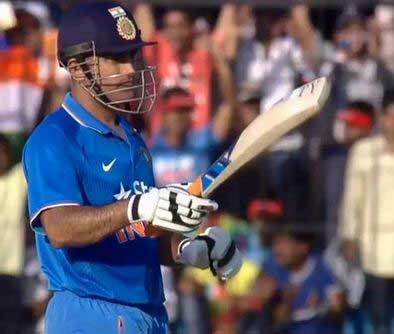 In the second ODI, Mahendra Singh Dhoni’s innings of 48 runs in 33 balls played a crucial role in India’s win. India, however, has already won the series by winning the first three ODIs, but in the fourth ODI, India had to face an eight-wicket defeat. In the absence of Dhoni in the third one-dayer match, Dinesh Karthik had played a match-winning innings, but in the fourth ODI he was dismissed without opening an account. Now India will want to end this ODI series with a win. In this, Mahendra Singh Dhoni is returning to the fifth ODI.